Intellectual Property (IP) is a tricky topic in the Middle East. Copyrighted work is treated as if it were in the public domain over here. IP is often viewed as nothing more than a legalistic term, not true “property” at all. In fact of course, IP may be significant asset, rights protecting the applications of ideas and information that have real commercial value. The four most common forms of IP are patents, copyright, designs and trade marks. In simple terms, IP represents creations of the intellect, be they products or services, inventions or discoveries, tangible or intangible. IP can be presented in many forms – brands, software, consumer goods, content, art, music and film – and found in virtually every industry. In many developing countries IP rights are not well recognised or enforced, often for real commercial reasons. In some nascent economies, it is argued that protection of IP rights to international standards will stifle the progress of local industries. In addition, it is argued, IP protection restricts the ability to learn by way of reverse engineering. However in fact enacting and enforcing proper IP protection is a necessary pre-requisite to becoming a modern nation, acting as a catalyst for technical progress, stimulating the economy, attracting foreign and domestic investment, facilitating technology transfer and benefiting the nation as a whole. The United Arab Emirates (UAE) as a member of the World Trade Organisation (WTO) has an obligation to uphold the provisions in the agreement on Trade Related Aspects of Intellectual Property Rights (TRIPS). TRIPS is an international agreement administered by the WTO to protect IP rights. 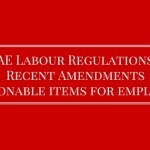 Conscious of its international obligations under TRIPS, the UAE has frequently amended its IP laws. For example, the Federal copyright law of 2002 was amended in 2006 to ensure better protection against infringements of copyright and related rights in a digital context. The region has often acted together with these aims, a good example being the enacting of the unified Trade Mark Law to standardize brand protection in all six Gulf Cooperation States (GCC), including the UAE. As with all other new markets the UAE market has its fair share of counterfeit products which is a serious problem for local and global businesses. Tracking the counterfeiters and bringing them to justice is often a tricky task for brand owners. The trick is to be strategic and in all cases, cost and benefit analyses must be done before undertaking any anti-counterfeiting action. Tackling the retailers alone will not solve the problem as the manufacturers and distributors are sitting pretty and the production of the counterfeit products is not affected. Owners of IP rights are currently pursuing protection by way of market oriented actions (newspaper ads, consumer education etc), regulatory actions through the economic department and legal action through a lawyer or a law firm– both civil and criminal. 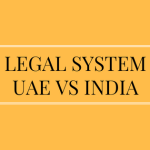 Generally speaking, in practice in the UAE recourse to legal action for IP protection is initiated primarily when the infringement involves a substantial financial amount. Court action is costly in terms of both time and money. The expenses for hiring a law firm may surpass the compensation granted by the court. The action to be taken is to be determined on a case by case basis depending upon the objectives one intends to attain. 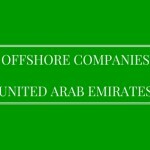 UAE copyright and trademark laws are generally compliant with the obligations under TRIPS however enforcement of the same may prove difficult. 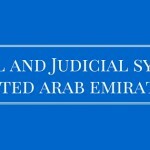 In theory, UAE laws provide for enforcement of unregistered trademarks and copyright. However, in practice, administrative bodies and the Courts are inclined to act to enforce trademarks and copyright only if there is a registration certificate. 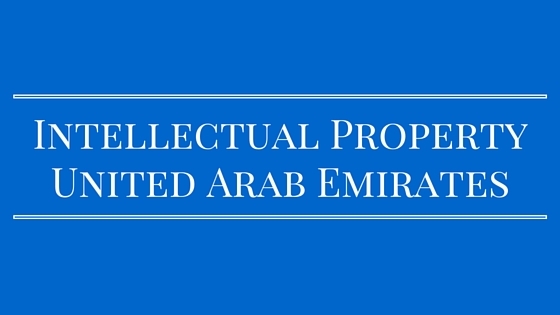 In the UAE IP enforcement remains a challenge. There are positive signs though that the country is harmonising its laws with international laws. In the current knowledge-based economy, IP is a valuable economic asset as well as a critical business tool that can provide competitiveness. It is therefore imperative that the governments of the Middle East countries recognizes that managing and harnessing IP strategically is the gateway to enhance the Middle East’s long-term competitiveness.